In view of the fundamental differences between U.S. and foreign or international sources of law, citation rules found adequate for domestic legal research often are inappropriate when applied to non U.S. legal materials. 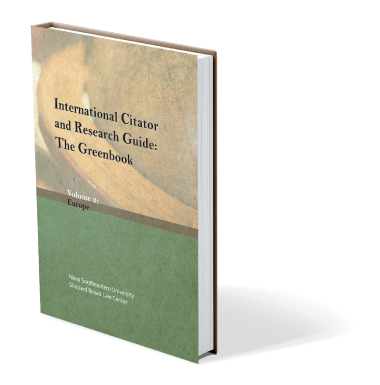 The International Citator and Research Guide (The Greenbook) is a ground-breaking project tailored to the needs of an international readership by providing information useful for worldwide and highly diverse professionals. 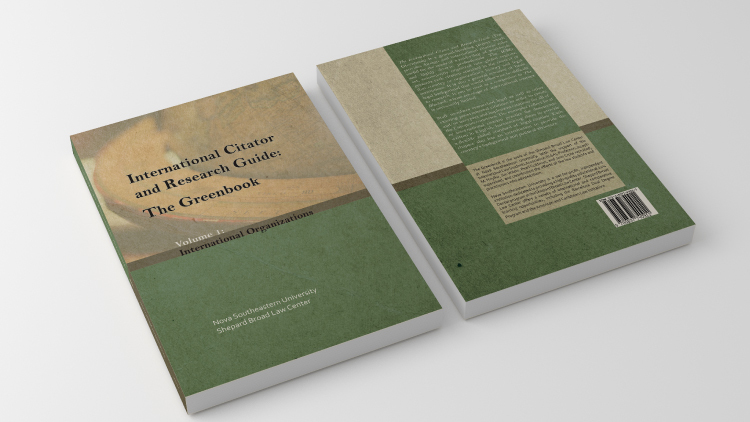 The ICRG set, conveniently organized into global regions, is a source of foundational and comprehensive citation standards for scholars working with all types of international and foreign materials. It presents each citation standard in the context of that country or organization’s history and legal institutions. It is also a general resource of basic legal background on international organizations and countries that would otherwise be difficult to research. It can be used as a companion to The Bluebook, whose coverage of international sources is limited. 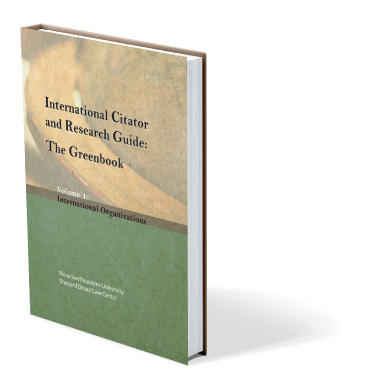 The International Citator and Research Guide (The Greenbook) is compiled and edited by student editors of the ILSA Journal of International and Comparative Law, International Law Students Association, Nova Southeastern University, Shepard Broad College of Law. These efforts were coordinated and supervised by Professors Jim Wilets, Pearl Goldman, Jane Cross and Joseph Hnylka at the Shepard Broad Law Center. Please note, a 10% discount is applied when a standing order is entered to the entire six-volume set.